A Delaware man was indicted by a grand jury Wednesday and charged with attempted murder and felonious assault after police say he shot his girlfriend. 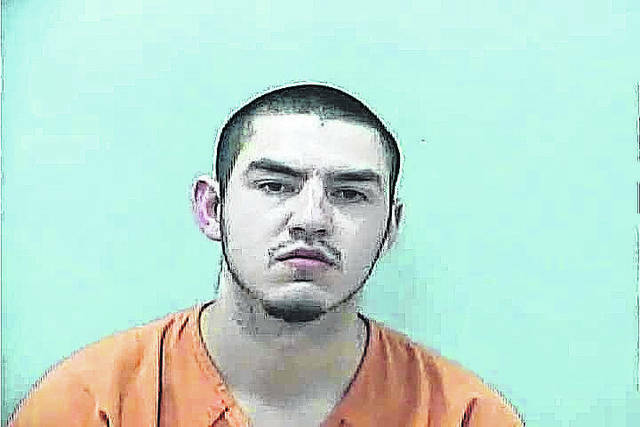 Joseph M. Ruotolo, 21, was indicted by the Delaware County Grand Jury Wednesday and charged with attempted murder, a first-degree felony, and two counts of felonious assault, second-degree felonies. The charges also carry a firearm specification, which could add up to three years to any potential prison sentence. An arraignment in Delaware County Common Pleas Court has not yet been set, but Common Pleas Judge Everett H. Krueger will preside over the case. Ruotolo was in the Delaware County Jail Wednesday after he had his bond set at $200,000 in Delaware Municipal Court on Feb. 5. Court records indicate that on Feb. 4 around 2:15 a.m., police were dispatched to 165 Lippazon Way, Delaware, after it was reported that a woman was shot. Police and medics arrived and made contact with a woman, Kayla Bowmar, who said the police needed to arrest Ruotolo, her live-in boyfriend, because he had shot her. Bowmar had a gunshot wound to the chest, and she was transported to Riverside Methodist Hospital. Police said she was in stable condition last week. According to a probable cause affidavit, detectives interviewed Bowmar at Riverside, and she reported that she and Ruotolo returned to their home after spending time at a local bar consuming alcohol and said while they were in the bedroom, she asked Ruotolo for a garbage can in case she became sick. According to the affidavit, Bowmar said Ruotolo stated, “If you throw up, I swear to God I will shoot you” before getting the trash can for her. According to the affidavit, Ruotolo told police he recalled events earlier in the day but blacked out after returning home from the bar. He later told police he may have been “dicking around” with the shotgun but could not recall any other details. Police recovered a 20-gauge shotgun at the home, and the investigation is still ongoing.